Korea is up-to-date with the latest fashion and beauty trends, and these characteristics are well reflected in the nation's shopping culture as well, attracting visitors of all nationalities to come Korea just to experience it. Almost everything you're looking for can be found in the hundreds of major department stores, street shops, outlets and shopping complexes, including designer brands, general items and local specialties. Nevertheless, international visitors frequent duty free shops more than others for a couple of reasons – the prices for luxury items are generally cheaper compared to retail stores, they feature a comfortable and luxurious shopping environment, the location is convenient as they are usually positioned close to major tourist attractions, payment in various currencies are accepted, and more. Even window shopping has become a major entertainment here! If you did not have enough time for shopping during your trip, fret not as you will still have the chance! You can easily cross items off your shopping list at the duty free shops found at major international airports as well as international ferry terminals. Duty free shops at Incheon International Airport are the most representative example, as the facility houses by far the largest and most advanced architectural features and highest level of customer services. Travelers with enough time to spare on shopping can pay a visit to duty free shops located throughout Korea. 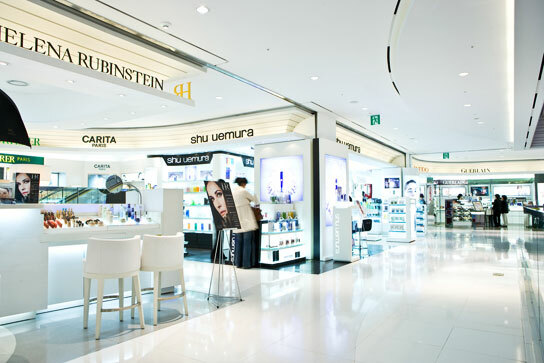 Including Seoul, you can find duty free shops all around the major cities and provinces. Moreover, the purchased goods from these places can be sent directly to your departure airport or seaport, removing the hassle of carrying and packing extra items. The shopper's departure ticket and passport are required during both purchase and collection of duty free goods. Last minute shopping is always on travelers' to-do list, and Korea's numerous duty free shops are helpful in many ways, providing just the right service! Duty free shopping is available not only at offline stores but can also be done online, as long as you have your passport, departure tickets, and credit card information confirmed, saving a significant amount of time. All travelers scheduled to leave Korea are eligible for online shopping, and the purchased items will be retrievable at the designated duty free pick up zones at international airports or passengers seaports on the date of your departure. * This column was last updated in August 2015, and therefore information may differ from what is presented here. We advise you to check details from the official websites before visiting.